Successfully Added SOAY E-Touch Therapeutic Massager - 6 Different Modes, Free iOS App to your Shopping Cart. This fantastic compact gadget can be connected to an iOS device such as your iPhone or iPad and will turn it into a mobile therapeutic massage that you can take anywhere. 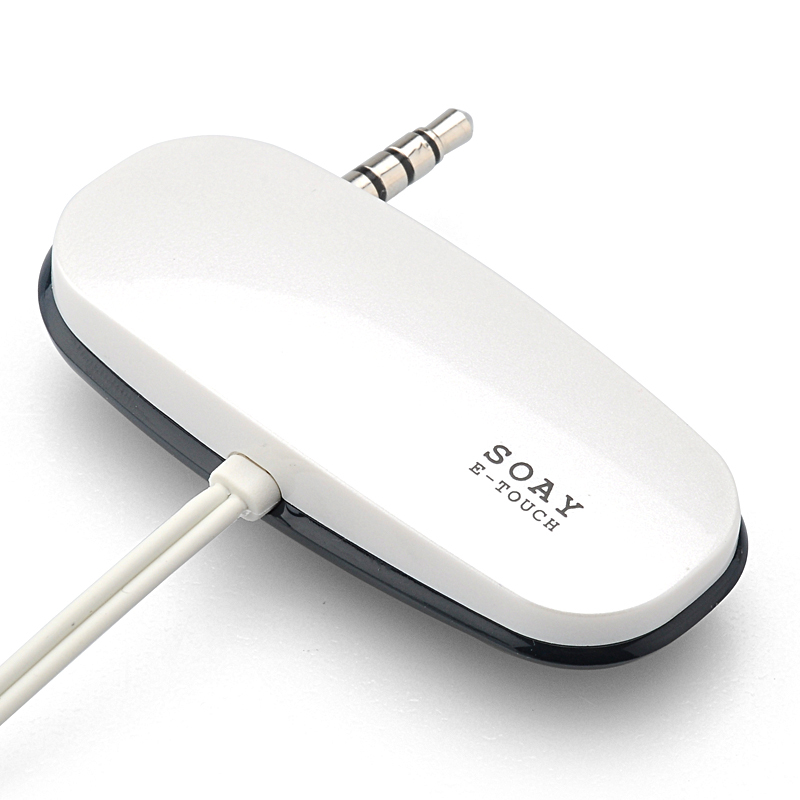 The Soay E-touch smart massager can be connected to the headphone socket of your iPhone or iPad and has a free app that allows you to control the intensity of the massage. There are 6 modes to select from which simulate acupuncture, hammering, massage, cupping, manipulation and scraping by delivering electrical impulses to your tried and sore muscles. This will help trigger contractions in the muscles to ease away their fatigue and pain after a hard day or workout. It can be used on different parts of your body such as the legs arms back and neck to deliver relief where you need it most. The SOAY E-touch includes two massage patches that you can position on your skin and being small and compact you can take it with you anywhere to use in the office at home or on your holidays. The product is to be used with iOS devices only and the control app can be scanning the QR code or by searching for the E-touch application on the Apple app store. Once downloaded to your device insert the massager into audio jack, and stick the massage patches on the place you want to massage then you’re ready to go and in control from your phone. It’s now easier than ever to keep aches, pain and stress at bay by relaxing with the E-Soay.